The vast Diablo range stretches south from the Bay Area between the Central Valley and the coastal ranges. On this 13-mile hike deep in the interior the land was rugged with little sign of human habitation, far from the main roads, ineffably quiet and spectacularly beautiful. 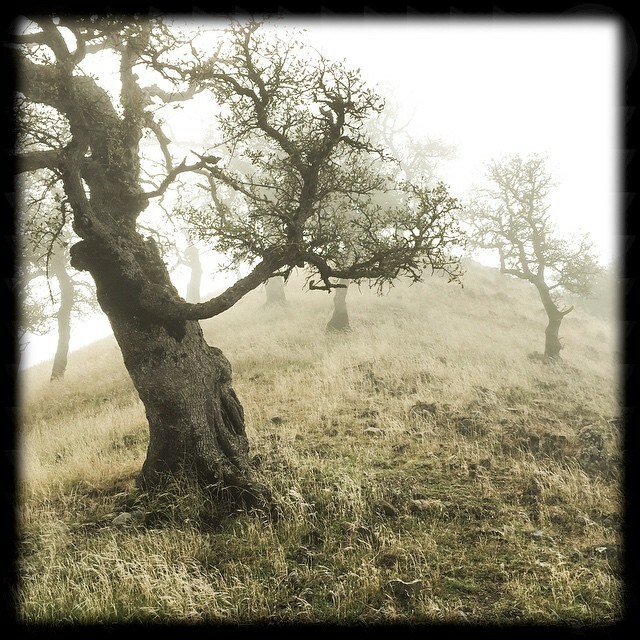 These gnarled trees were high on a ridgetop and shrouded in fog as we approached. California seems at times a crowded metropolis, but in truth most of the state is wild land, sparsely occupied. I think it’s these wildernesses and forests that keep us sane.